James Patrick Sniffen, "JP", is a former Marine Corps Infantry Officer, commissioned through ROTC at Notre Dame with a double major in Government and Philosophy. After The Basic School (TBS) and Infantry Officer Course (IOC), JP was assigned to Kilo Company 3/2 at Camp Lejeune. There, his positions included Rifle Platoon Commander, Weapons Platoon Commander, Executive Officer and Commanding Officer. While JP was with 3/2, he deployed to Cuba to run a Cuban migrant internment camp, 2 CAXs at 29 Palms, and a UDP to Okinawa. After leaving the fleet, JP served as the Officer Selection Officer in St. Louis, MO. Following his Marine Corps service, JP was handpicked to join a Leadership Development Program (LDP) at a top construction company in Los Angeles, CA. During his three year tenure he served as Superintendent, Project Manager and Operations Manager. Looking for a way to bridge his love of country and desire to help people, JP joined Orion International in 2002. As a Candidate Recruiter, JP has placed over 1,000 former military officers with top corporations. 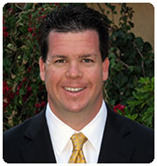 Upon making Partner in 2006, he was promoted to West Coast Recruiting Manager. He is an Orion President's Club member, has earned his Certified Personnel Consultant (CPC) from the National Association of Personnel Services (NAPS) and has earned his Executive Certificate in Negotiation from the Mendoza College of Business. JP's favorite quote and the motto he lives by is; "Find a job you love and you will never work a day in your life." My one piece of advice would be to focus on your skill sets. Realize that the military taught you your job, because they saw the talent and raw material you possessed. Corporate America can be the same if you focus on the skills you possess that allow you to perform in the role you are applying for, even if you have not done the exact job before. I love working at Orion because I am able to be a guide for transitioning service men and women. I introduce them to opportunities they would never have found on their own that lead to a great career. Is there one role in particular you are currently seeking to fill? My hot opening right now is a new role where you would train and be mentored by me to learn all the fundamentals about recruiting before you transition into an Account Executive role here in the San Diego office. I hit a home run inside the Padres Petco Park professional baseball field!